A Definitive Guide to Promoting your Items on the Marketplace. First off, we just want to say thanks for choosing MOJO to sell your quality work. Congrats on getting your item accepted! You’ve got an item or maybe even a couple of items now for sale on the marketplace. We want to do everything in our power to make sure that your hard work pays off. Below we’ve put together the Official MOJO Sellers Guide to help our sellers get the best results they can. Now let’s go over some quick tips on how to make sure your item has all the bells & whistles and is ready for potential buyers. Again, thanks for choosing us and let’s get started! One of the biggest factors on your item views all comes down to your thumbnail and preview images. In other words, don’t overlook these! Take your time in creating something unique, professional and touches on the best features of your item. Get creative to entice potential buyers to click on your item so they can read through all the features, support your offer, documentation and push them to view the live demo. EXAMPLE: Take a quick look at the Highend – Ultimate Multi-Purpose WordPress Theme preview image and put yourself in a buyers shoes. This seller has covered everything. 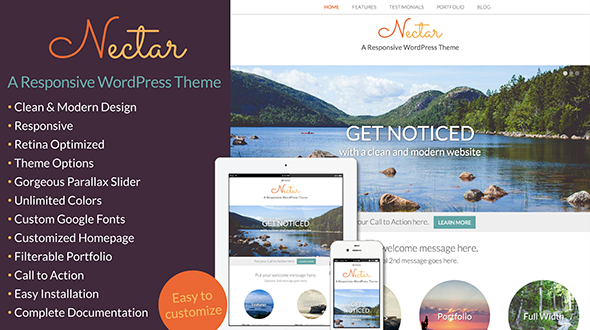 A quick description about the theme, a few top features, great screenshots and of course a simple WordPress logo letting buyers know it’s a WP theme. Simple elements but all important. Remember within a marketplace setting, buyers searching for items really need specific and straight-forward information like this. Some sellers go the extra mile and include screenshots to highlight major features within the theme. Buyers also appreciate a few screenshots of the backend to see what they will have control over. Lastly, simple things like an updated change-log let buyers know you keep your item updated and provide on-going upgrades. Build confidence to buyers from start to finish with your item descriptions. What about any custom functionality you built for the theme? Did you mention you provide professional, 24/7 support on the item? Are future updates of the theme free? If it’s an older theme is there a changelog? Bottom line is not to assume they know these simple points and use this place to really let your item shine. EXAMPLE(S): The item description of the Nectar WordPress Theme is everything you could want in a description. It’s more than just an intro paragraph of the item and a list of features. That’s great but you’re relying on your live demo to sell your item when who knows if you’ve given them enough info to even want to take that action. Also, the creator of the Creativo 4.0 WordPress Theme does a great job updating a change-log that retains existing buyers and builds confidence with new ones. I’ll be the first to admit, putting together a live demo that truly highlights a themes features takes time and patience. After hours and hours of building it all out, you’re just ready to get the item live and the desire to build out another page just ran out like your 7th can of Red bull. The live demo is so vital to getting your item sold. One thing I can’t stress enough is don’t over do “Lorum Ipsum” text. Actually take time to use the sections of your theme to highlight features, show screenshots of the admin panel, display the different page templates, etc. With this particular area, I can’t really give you a detailed list of what you should include within your demo because every item is different. What I can do is show you some amazing live demos on the marketplace to give you some inspiration. Curves WordPress Theme – You can see the time put into this as you click through each page. Rexxar WordPress Theme – Navigating the demo, you’ll see the appeal and the speed. Kimmia WordPress Theme – No only is this theme clean and stylish, it’s packed with features. Mustang WordPress Theme – A personal favorite of mine. Clean, elegant and easy to navigate. 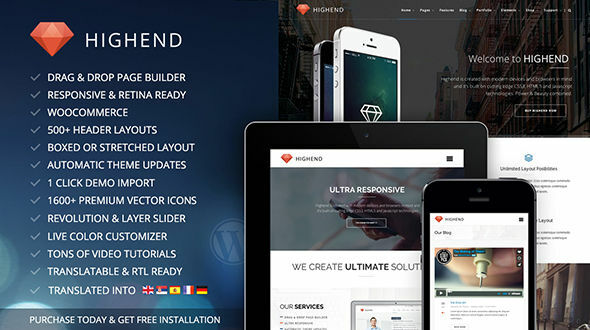 Cadence WordPress Theme – Niche themes are dominating sales. Catering to musicians, lawyers, etc, is very particular. Nibiru WordPress Theme – Parallax is the buzz, check out this smooth operator. Nico WordPress Theme – There’s not one thing missing from this live demo. Amazing work. There are several ways to promote your item to increase your sales. Some are simple and can provide instant results, while others require more up-front work and take more time. As this sellers guide will always be continued added to, I’ve created a list to kick things off to help you start promoting your item right away. Your item just went live! Tweet it. Start a Facebook page around your themes. You have a site or blog right? Feature it in unique ways through your site. Blog about it, promote it. We’ve seen a few sellers actually use sites like BuySellAds to purchase banner ads to promote their own items. It’s a pretty inexpensive way to push more traffic to your item(s). Yes. We encourage this, after all it’s your item right? By all means run some giveaways as long as you don’t sell it if you’re an exclusive seller. The only thing we ask is how you give your winners your item. Have them set up a MOJO account so you can send us their username so we can place the item in their downloads. Submit articles for approval that highlight something valuable to our community. In return get paid for your article and also use it as an opportunity to feature your item(s) throughout the post. WHAT DID WE MISS? If you have any other ideas or methods that have worked for you let us know so we can keep this sellers guide updated. Send us a quick note and we’ll be happy to update this right away.